Veolia, the French giant in water, waste and energy management, created a subsidiary in Morocco in 2017, called Veos. As a result of a joint venture with SOS NDD, the company was launched to manage medical waste in the Kingdom. It may soon be authorised to build a specific treatment plant. 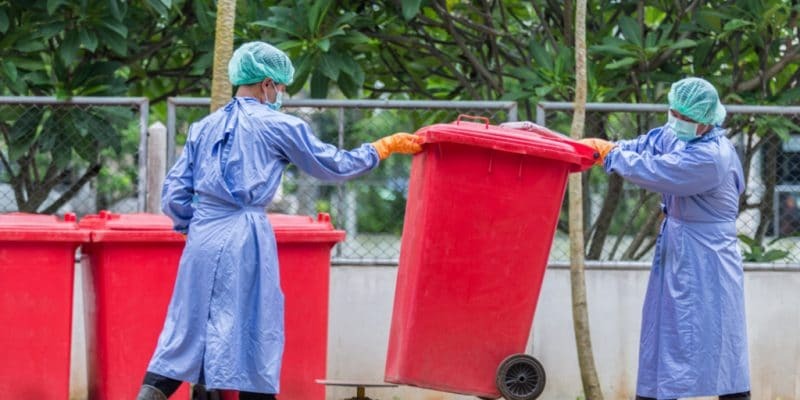 Antoine Frérot, Chairman of the French group Veolia, announced that his company is continuing its medical and pharmaceutical waste treatment (MPW) business in Morocco, with Veos, its local subsidiary. On site, it works with a small Moroccan company specialised in waste treatment. It is SOS NDD, based in Casablanca. The two companies are engaged in cooperation while the Moroccan market for the management of medical and pharmaceutical waste is changing. Nearly 60% of them are not treated. According to the General Confederation of Moroccan Enterprises, 25,000 tonnes of MPW are produced each year throughout the Cherifian Kingdom. At least 30% of this waste collected in hospitals and clinics is classified as hazardous. The same source reports that only 3% of the waste is treated in a “professional” way. Most of them are disposed of in centres integrated directly into the country’s major hospitals. Veos now has a good foundation in Morocco, with a turnover of 40 million dirhams, or nearly 4 million euros. During the 2019 edition of Press Day held on February 7, 2019 in Paris, Antoine Frérot stated that the next mission of the joint venture formed between Veos and SOS NDD would be to build a medical waste management centre in the industrial zone of Skhirat, a seaside town located halfway between Rabat and Casablanca. The facility will be established on a surface area of 1,500 m2 and it seems that Veos is in the final phase of obtaining authorisation to build the plant, which should take 8 months to be operational. This work will require an investment of 20 million dirhams, or just under 2 million euros. The objective of the joint venture will be to recover the waste from the various hospitals and send it to the medical waste management centre. According to Veolia, the waste will be treated using a technology certified by the Pasteur Institute. The plant will create 40 new jobs in Morocco. This new project will further strengthen Veolia’s presence in Morocco, including two subsidiaries, Redal and Amedis, which together generate almost MAD7 billion, or nearly €650 million.